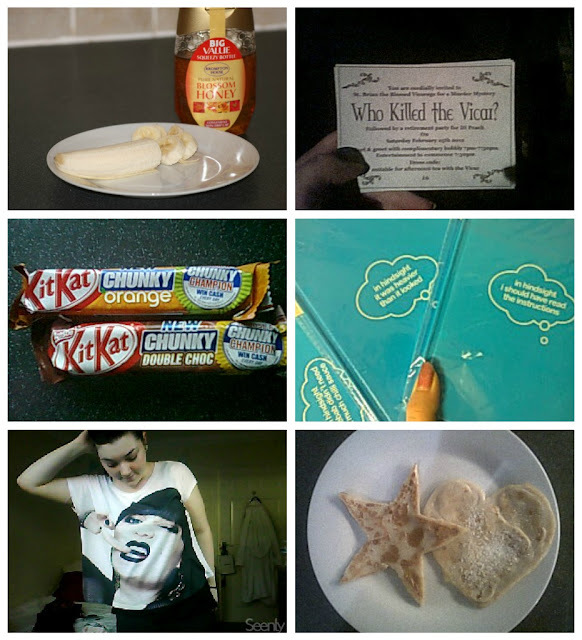 Week in photo's 19th-26th Feb | S J M W E L L - Fashion, Beauty & Lifestyle blog. Kit Kat's, In Hindsight, J-J-J-Jessie J, Pancake day! Haven't had a chance to really write many post's up this week, I do have a few planned it's just remembering to take photo's and write post's up. It really felt like summer this week, it was so nice to finally get some sun instead of snow and finally wear something without a cardigan or coat over the top. I've also made a twitter for my website which I'll be posting soon, Would love if you would follow it. I'll be using it more when the website's up and running. i really like your jessie j top!